Akiko’s Buddhist Bed & Breakfast, over the years has become synonymous with MOCHI POUNDING. This will be our 21st year. It started as a small neighborhood gathering with 23 people, mostly neighbors, and has grown and welcomed the general public. Last year between 600-700 folks came to experience Mochi Pounding. 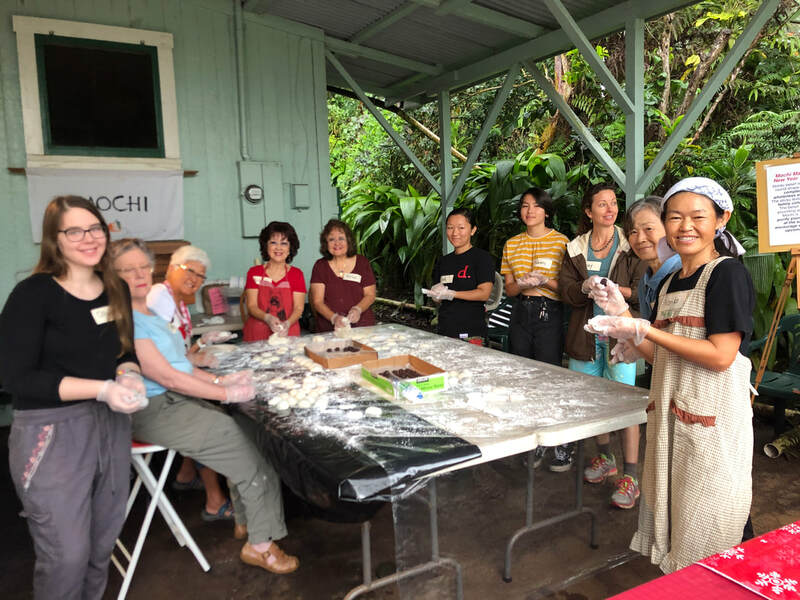 Experience what now has become a tradition for many locals & visitors alike, in our quaint, little plantation village, making traditional rice cakes the "old-fashioned" way. Everyone takes their turn at pounding the glutinous sticky rice for good luck. Fire building starts at 6:30 a.m. to steam the rice. Hearty local style lunch for $5. 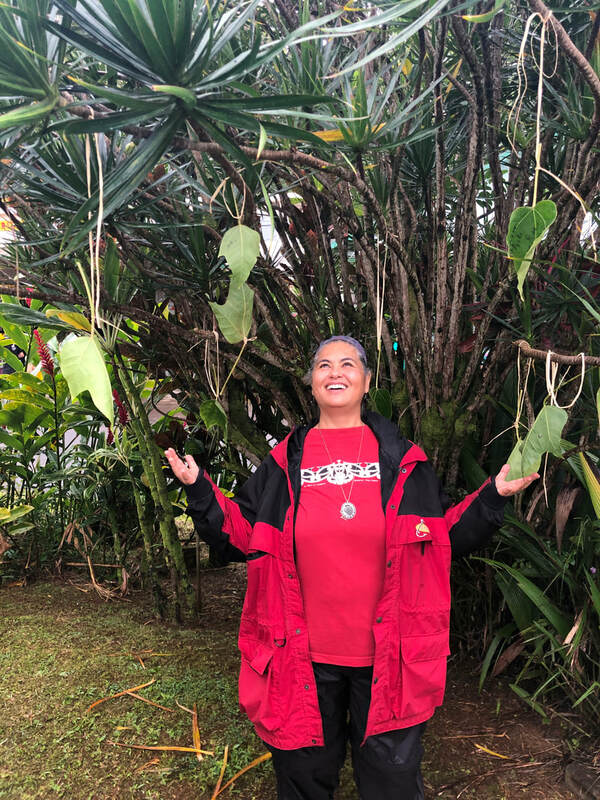 New years crafts & calligraphy, NewYear’s kadomatsu (bamboo arrangement), fortune telling, I Ching readings, prayers and blessings, massage, Okinawan taiko drumming at NOON, Hawaiian entertainment with Lito Archangel, jazz with Leonard Kubo & Louanne Gurney, and special guest artists. A great cultural mix of everything that makes Hawaii so special. Call Miss Akiko @ (808) 963-6422 or email: msakaiko@hawaii.rr.com for more information. ​Learn about the process of mochi pounding. 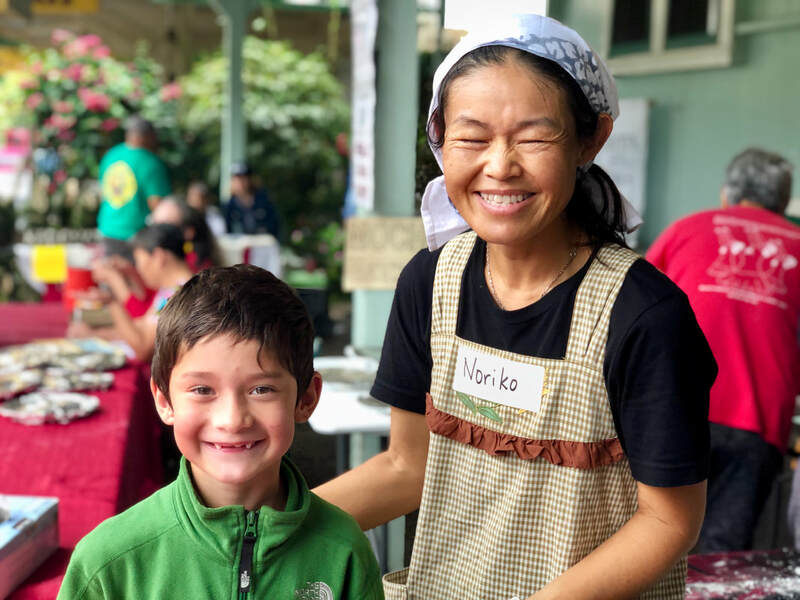 Take a look at the other Wailea Village Historic Preservation Community initiatives: Cemetery Stewardship, Reviving Hakalau School, and Senior Luncheons.